Packing lunch for your family every morning can be a real pain in the you know what. It can easily become the dreaded part of your morning routine, especially when you’re rushing to get out the door. What if we told you that you don’t have to wake up early to pack lunch in the morning? What if we told you that your family is perfectly capable of making their own lunch? They’ll still need your help of course, but you can foster independence and get them to take on some responsibility by organizing your refrigerator so they can pack their lunch all on their own. First, you’ll want to set a day or two in the week where you can do this. You DO NOT want to wait until Monday morning. Take a few sandwich rolls slice them in half and put them aside. 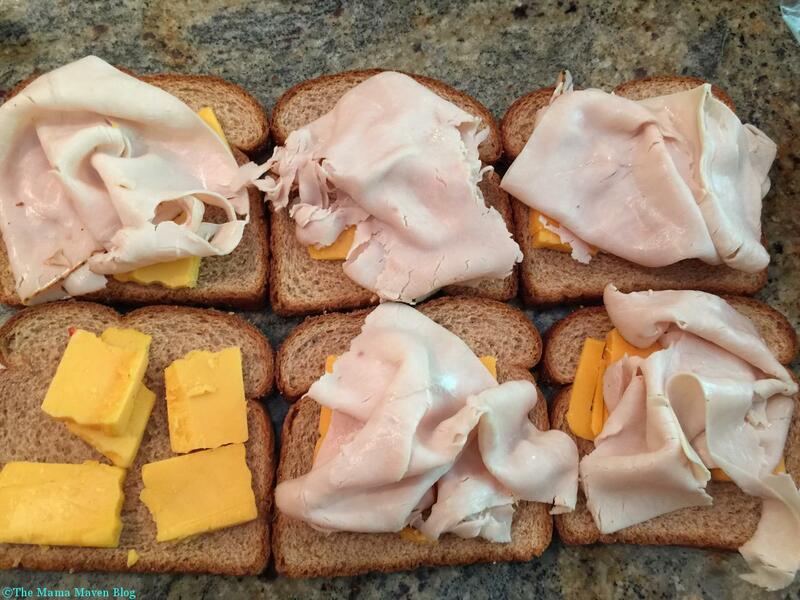 Lay out some slices of cheese and rolled deli meat, as well as packets of mayo and mustard. You’ll want it to look like an assembly line. All you have to do is take a roll, throw on a slice of cheese and a few pieces of meat. Place your sandwich in a sandwich bag or piece of wax paper along with a packet of mayo and mustards. 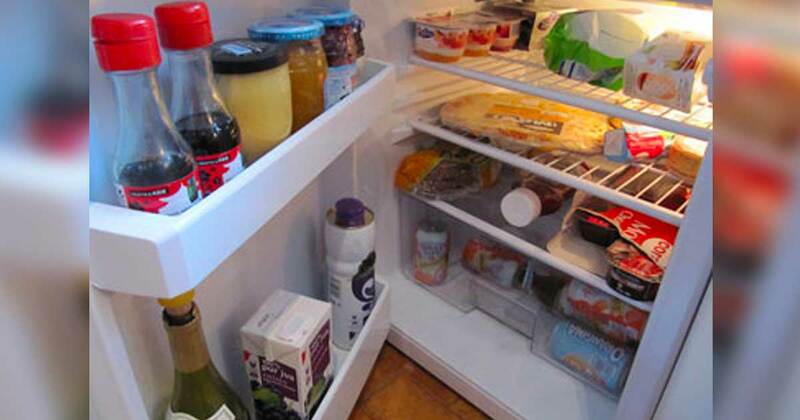 Put a bin in your fridge and place all the sandwiches in one place. This will be your lunch bin. Stack a few slices of cheese and cut the slices into four squares. Take your deli meat and do the same. Take a few pieces of cheese and deli meat squares and place it in a sandwich bag with some crackers. Boom… cheese and crackers snack. You can also add some cheese sticks. Cut up pieces of cantaloupe, apple slices, and or strawberry slices and place them into sandwich baggies. You can also throw in some fruit cups or whole pieces of fruit like tangerines. Chop up some bell peppers, carrots, and celery and toss it into a sandwich bag. Just place any snack in a little sandwich bag or leave them in their individual container so your kids can just grab and go. 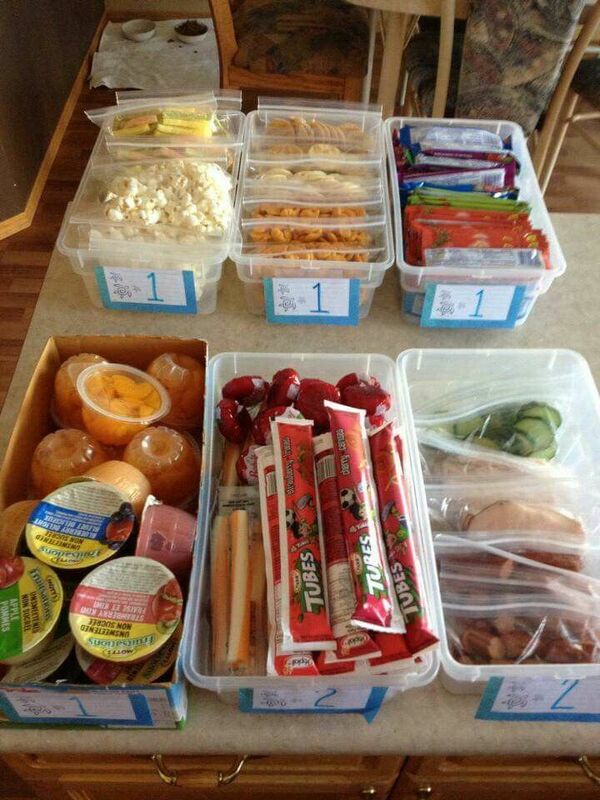 Place your sandwiches, snacks, and juice boxes in an organized bin in your refrigerator. Make sure the bins are clearly marked. You can even number the bins so they know exactly what to put in their lunch bag. Now your family can be responsible for packing their own lunch. All they have to do is grab one item each and toss it in a bag to take with them. Packing lunches have never been so easy. You’re welcome!